Bradley voiced by Richard E. Grant in "Khumba." 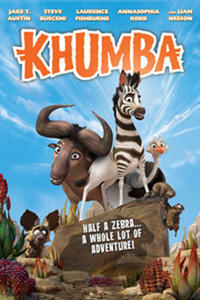 Khumba voiced by Jake T. Austin and Bradley voiced by Richard E. Grant in "Khumba." Mama V voiced by Loretta Devine and Bradley voiced by Richard E. Grant in "Khumba." Phango voiced by Liam Neeson in "Khumba." 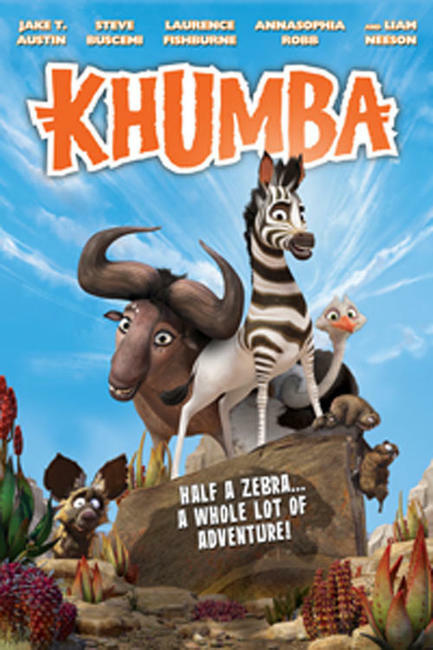 Khumba voiced by Jake T. Austin in "Khumba." Mama V voiced by Loretta Devine in "Khumba." Tombi voiced by AnnaSophia Robb in "Khumba." Seko voiced by Laurence Fishburne and Khumba voiced by Jake T. Austin in "Khumba." Skalk voiced by Steve Buscemi in "Khumba." Mama V voiced by Loretta Devine, Bradley voiced by Richard E. Grant and Khumba voiced by Jake T. Austin in "Khumba." Mama V voiced by Loretta Devine and Khumba voiced by Jake T. Austin in "Khumba." Bradley voiced by Richard E. Grant and Mama V voiced by Loretta Devine in "Khumba." Tombi voiced by AnnaSophia Robb and Seko voiced by Laurence Fishburne in "Khumba."